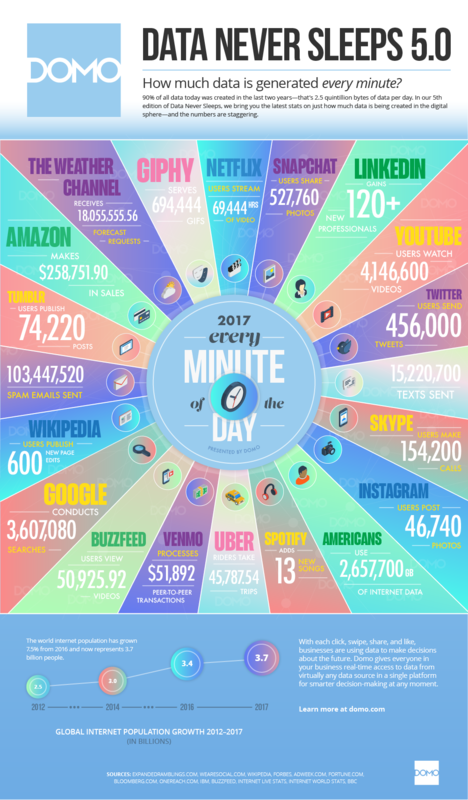 The amount of data produced each day are 2.5 quintillion bytes, and the pace of the growth is only accelerating with the growth of IoT. The following are where and how much data are generated on a daily basis. More than 3.7 billion humans use the internet (that’s a growth rate of 7.5 percent over 2016). Thanks to the benefits big data can bring, it is forecasted that 70% of enterprises will utilize AI by the end of 2018. By doing so, companies are enabled to analyze their business more easily and effectively and create business intelligence by taking advantage of the new influx of information. Big data can play a number of roles in business. It is focusedly used to get information about customers in terms of preferences and behaviors and therefore to create predictive models. AI can make use of effective behavioral targeting methodologies, allowing businesses to automatically respond and provide a better buying experience. As it is no doubt that personalized content targeting will increase, this has become a huge opportunity for companies to improve sales opportunities. In addition, big data makes customer service more proactive and responsive to consumers as it realizes the needs and wants of them. Customer support system at all times can be strengthened using CRM system gathering the data and customer insights, getting closer to ultimate customer experience. Regarding business operation, big data can increase efficiency of production with understanding, recognition, and removal of constraints. Big data can also reduce costs that occur when firms try to find trends, predict future events in the industry, plan their production, and manage inventory.